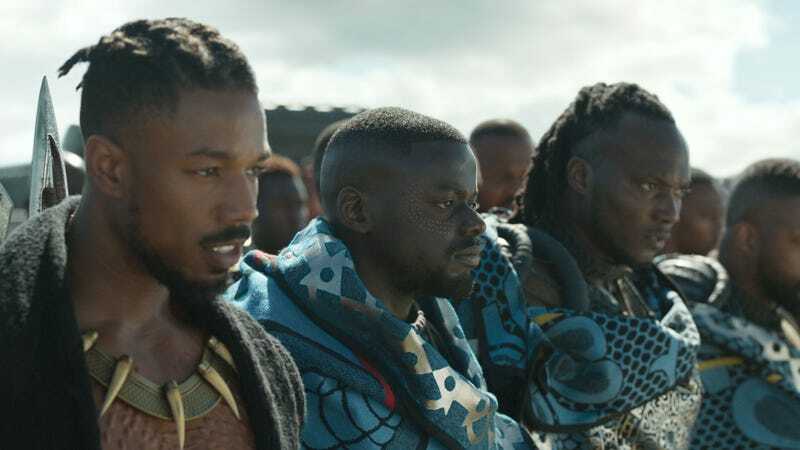 Black Panther is now in theaters and it’s great. Like, really great. And one of the best things about it is you don’t need to be super familiar with Marvel’s 17 previous movies to enjoy it. It totally works on its own. However, if you are familiar with those movies, maybe you walked out of the theater with a question. That question isn’t exactly a spoiler since, well, the answer isn’t in the movie. But, just in case, we’ll leave this right here. Again, we aren’t spoiling anything in the movie, just something that’s not in the movie. That is, of course, the Soul Stone! The final of six Infinity Stones Thanos needs for Avengers: Infinity War. It’s not there! We were wrong! Fans had long suggested the stone would either be in Thor: Ragnarok or Black Panther but, now that we’ve seen Panther, we know it’s not in there. Why though? Well, the film’s co-writer and director Ryan Coogler has a pretty good answer for that. “[Marvel Studios] never really was interested in putting a stone in there, either,” he concluded. So that answers that. By simple process of elimination, it seems like now the whereabout of that pesky soul stone won’t be revealed until Avengers: Infinity War. Thankfully, that’s less than three months away.